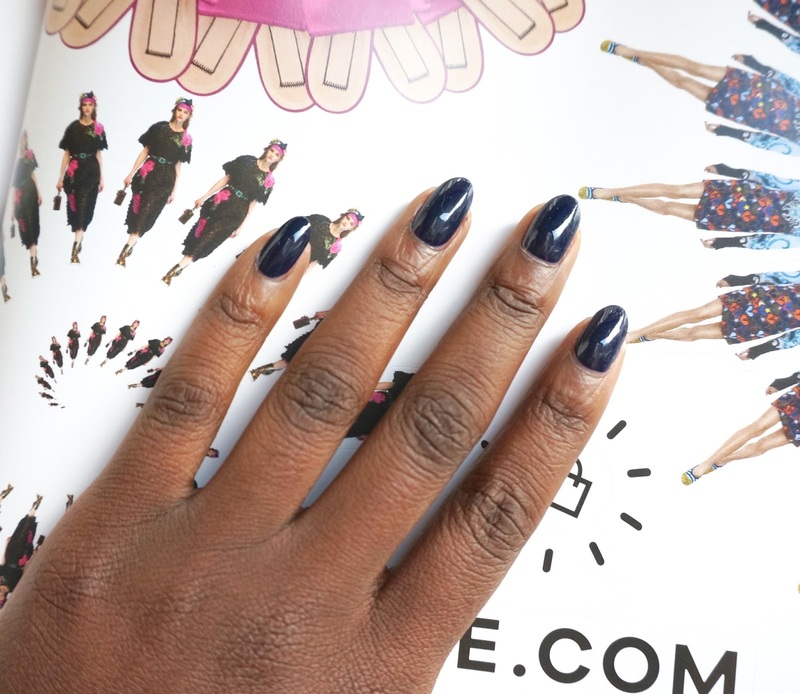 Last week's nail paint of the week saw me wearing 'Bravado' a bold navy shade from Topshop Beauty's new gel nail range. Given how much I love navy, its no surprise that it would be the first colour I would choose from the new colour collection of twelve. 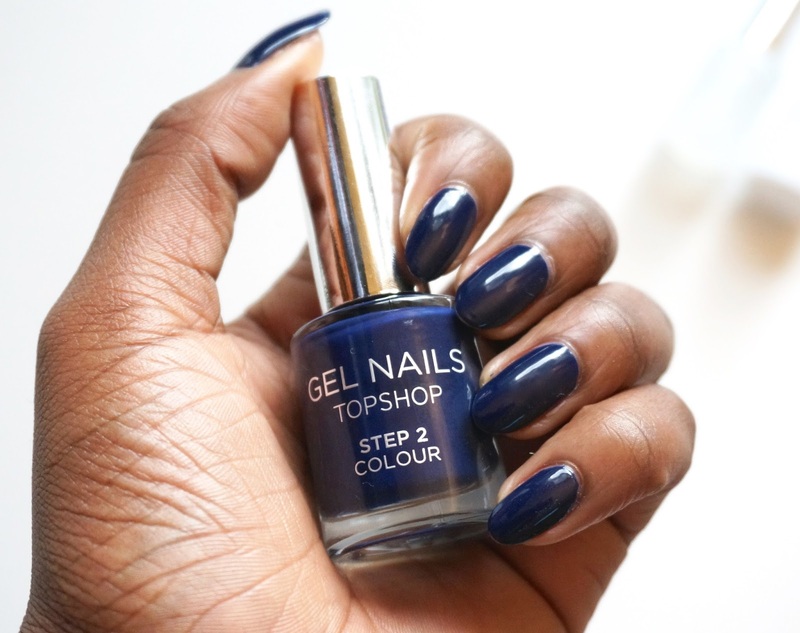 The new Topshop gel nail range is formulated with shellac resin giving you that gel like finish ever so reminiscent of shellac that lasts up to ten days, it's ideal for the 21st century woman constantly on the go. Impressively theres no need for professional equipment or a UV lamp to achieve the long lasting gel like finish. You can achieve your very own impressive manicure from the comfort of your home in three simple steps. Apply one layer of Topshop beauty gel nails base coat then allow to dry. The base coat features optical brightener to ensure the high shine gel colours remain vibrant whilst also nourishing and protecting your nail bed. Apply two to three layers of your chosen Topshop beauty gel nails colour then allow to dry. The gel nails are formulated with shellac to guard against chipping or loss of colour. Finally round things up by apply on player of the Topshop beauty gel nails to achieve along lasting high- gloss manicure. My experience using the Topshop beauty gel nails, has been all around incredible. I was particularly impressed by the speed at which my nails dried up. It literally took a number of seconds for my nails to touch dry. 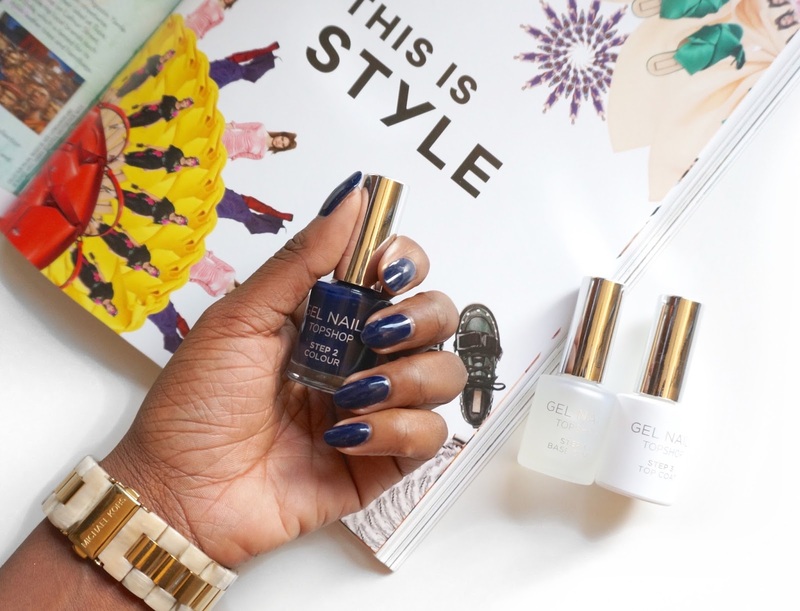 It is one of the quickest nail drying polishes I have used to date. I was also equally impressed with the high-gloss finish which has lasted past the 10 day wear. I am keen to try out more colours from the range given how impressed I was with Bravado. 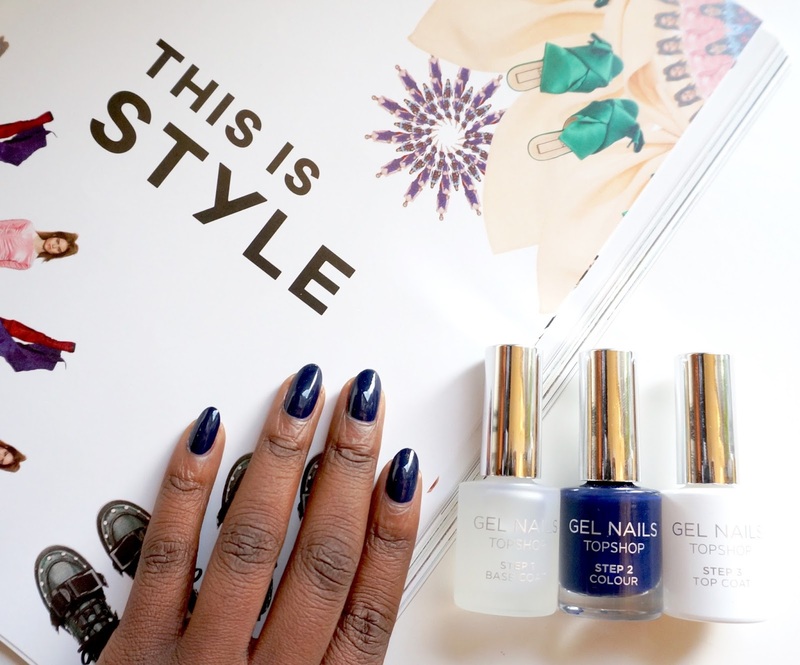 The polishes retail for £8 and the gel nails top & base coat is available as a set for £12. They're all available to buy in store or online at Topshop.com.